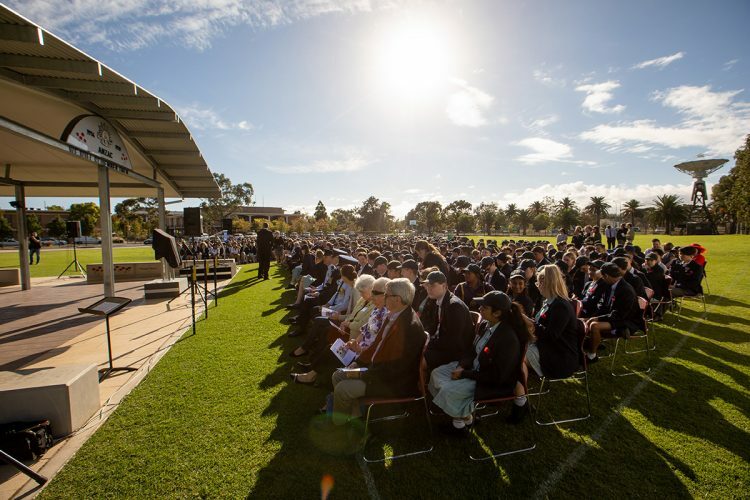 The Endeavour College community gathered for the official opening and dedication of its ANZAC Pavilion on the final day of Term 1. The pavilion, which displays the names of all the WWI battles, images of poppies and the official ANZAC centenary logo, was officially opened in a very moving service 100 years after the end of WWI. In addition to involvement by a number of students and teaching staff, the College was honoured to have war veteran and Rat of Tobruk, Mr Bill Corey OAM unveil the official plaque, together with Mr Tony Zappia MP. This commemorative space would not have been possible without Federal Government funding through the ANZAC Centenary Local Grants program, and the passion and dedication of Endeavour College History Learning Leader, Mr David Thiele for managing the grant application process.